Baby don't stop, take it to the top, eat it like a piece of cake." I was in middle school when Kiss decided to take off their make up and put out a few videos without it. "Heaven's On Fire" was the first release and it was so popular in my area and with my group of friends that I honestly thought it did much better on the charts than it actually did. It was on the radio constantly and MTV couldn't seem to get enough of the band either. Deciding to take the makeup off for a while was actually a brilliant move because it helped to revitalize them. MTV had really hit its' stride by 1984 and unmasking Kiss was a great publicity tool to generate buzz. Plus the lyrics were blatantly sexual and with a title like that, people were already all over this song. 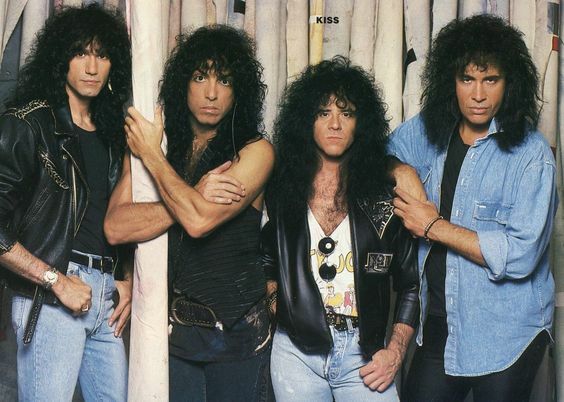 "Heavens On Fire" is one of the few songs from that era of music that KIss continued to play live even after deciding to put their stage make up back on. Check it out below!